HJ03. 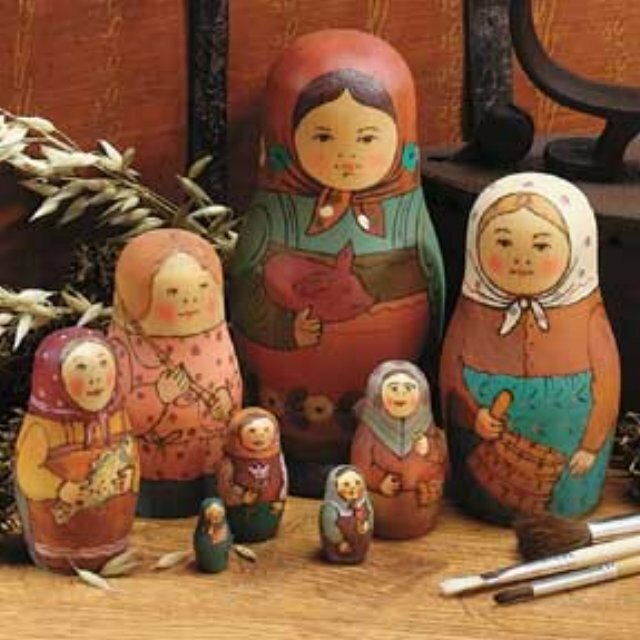 Museum-quality Piglet Matryoshka - 8n, 7"
This handcrafted matryoshka is a faithful re-creation from the collection housed in Moscow's Museum of Folk Art. Crafted in the traditional wood-burned style, each is created by using a red hot needle to draw on the surface of the wood. The hand-painted pastel-washes recall the style of fairytale illustrator Ivan Bilibin (1876-1942). 1"-7".